The biggest they cite is approval of a new Cabinet-level Early Childhood Education and Care Department. But when it comes to the incremental funding approach the state continues to take for programs serving children under 5, the assessment was mixed. Amber Wallin, deputy director at New Mexico Voices for Children. 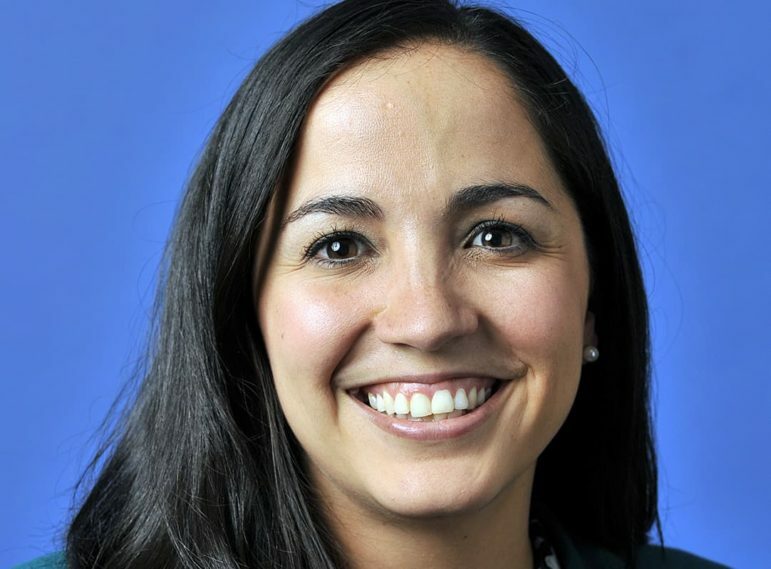 Amber Wallin, deputy director for New Mexico Voices for Children, called the new Early Childhood department “big,” creating opportunity for the state to coordinate programs and ensure children who need them get all the services they are qualified for. She pointed to a tax reform plan that increased the working families’ tax credit and eased state tax increases on families with multiple children caused by the 2017 federal tax changes, saying it will also help even out the boom and bust cycle of oil revenue and ensure long-term financing for essential state programs for families. The state increased early childhood programs serving ages 0-5 in total by $35.6 million, which is about 13 percent more than this year, but within that, child care assistance and home visiting programs are getting just 7 percent more. “Those two programs are key for starting kids off on the right foot from the very earliest years,” Wallin said. Others say the boost in overall funding is enough, for now. While there is significant unmet need, millions in early childhood funding was unspent or moved into other programs last year because of low enrollment. Most advocates say the culprit is lack of capacity in the early childhood system, in particular a shortage of teachers for preschool, child care and home visiting. “I think it’s just about right for where we are,” said Katherine Freeman, president of United Way of Santa Fe County, umbrella for the Early Childhood Development Partnership, about the size of the increase for next year. The lack of preschool teachers is a huge limiting factor to expansion to early childhood education, and is one of the top things the new department should address, Freeman said. Advocates, lawmakers and even the governor have big expectations of the new Early Childhood department: Streamlining services and creating consistent, high-quality standards for programs drawn from at least four different departments; coordinating programs like NM PreK and Head Start so the state doesn’t waste valuable resources, and maximizing federal dollars; assessing needs and gaps in services for children from birth to age 5; and most important from many early childhood experts’ perspectives is building the pipeline of early education teachers. According to the 2018 New Mexico teacher vacancy report, all of the state’s universities combined graduated just 63 early childhood education teachers in the 2017-18 academic year. A big problem is that early childhood educators are among the lowest paid professionals in the state, with a median salary of $26,590, making it hard to attract workers. And New Mexico PreK is evenly split between the private sector and public schools where teachers can make nearly double that amount, with health care and pensions, and the summers off. So child care centers, which offer working parents needed full-day and summer care, train staff only to lose them to public schools. Kate Noble, vice president of policy for the Early Childhood Development Partnership, can attest to the problem private and public preschool programs are having in recruiting teachers. She’s traveled much of the state talking to early childhood educators and said that several places had funded slots from the state and classroom space — but no teachers to put at the head of those classrooms. “We are already at a place where workforce is the limiting factor in the expansion of the system,” Noble said. One area where the new department will get some needed help is through a $5.4 million federal grant that can be used to do a needs assessment and come up with a comprehensive early learning plan for the state. While lauding the creation of the new department, advocates were disappointed that a few other measures didn’t make it to the governor’s desk. A bill to expand the eligibility for childcare assistance to 200 percent of the federal poverty level and to ease the “cliff effect,” where parents who get a small raise can lose thousands of dollars in help for child care, never made it out of committee in the House. The state has set the eligibility limit there voluntarily — for now — but it will require some juggling of federal funds if they are to keep that promise, Wallin said. Another bill, sponsored by Rep. Rebecca Dow, R-Truth or Consequences, founder of an early childhood services center in Sierra County that provides PreK and childcare services, would have required the state to increase its reimbursements to childcare providers to account for the state’s higher minimum wage, something both Noble and Freeman said will affect providers and which the new department will have to figure out. Both Wallin and Dow wanted to see more support for the Children Youth and Families Department — to fill huge vacancies in child protective services, reduce caseloads, and fund raises that would help the department retain workers. They approved the choice of Brian Blalock as new CYFD secretary and hope he will get the tools he needs in the years ahead to better protect children. But those are battles for another year. In the meantime, it’s good to count your blessings.